Flying for work about once a month, I have been carried on wings often throughout the United States and to many exotic destinations. 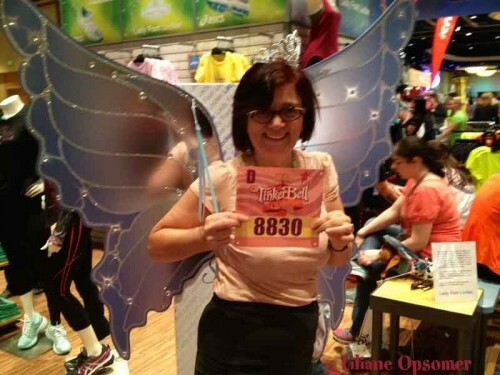 Nothing however has been as exhilarating a journey as earning my very own wings at the Tinker Bell Half Marathon at Disneyland in Anaheim last month. 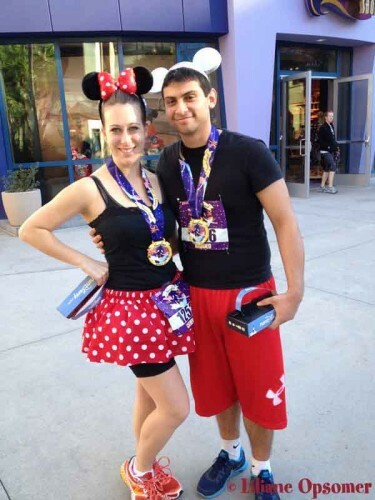 I started running eleven months ago when I did participate in my very first runDisney race, the Mickey and Minnie Mouse Royal 5K at Walt Disney World. I loved the experience and next thing I knew I signed up for the 10K held during the Disneyland Half Marathon weekend in August. My son is living in Los Angeles and running a little race while visiting seemed only natural. Cranking it up a notch I run the Tower of Terror 10-Miler in Orlando this October and eventually decided that the best way to celebrate the upcoming anniversary of my first race was to sign up for the Princess Half Marathon which by now is only three weeks away. The world seemed perfect when I was invited to speak on a panel at the Los Angeles Times Travel Show. Living in New York, which is currently blanketed by yet another snowstorm, I was eager to let Elsa’s world go and enjoy both my son and 82F. So how can one top this? 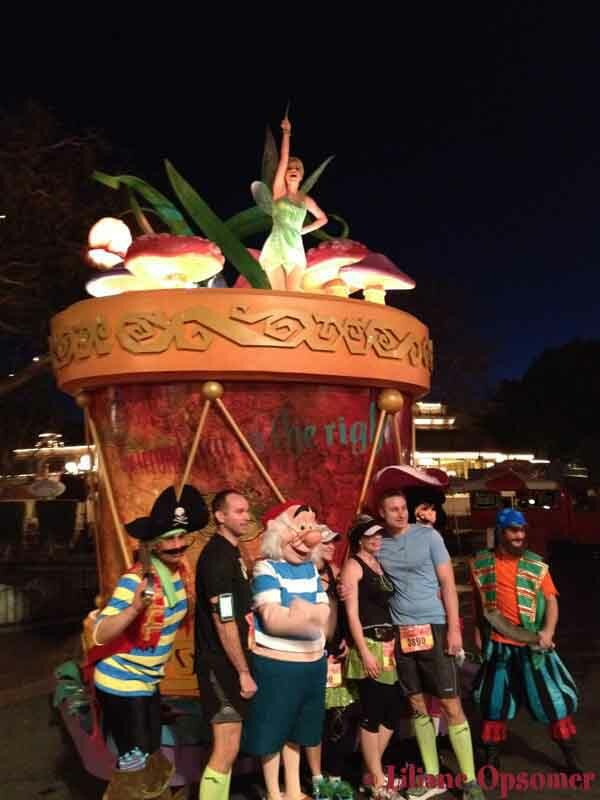 You guessed it, run the Tinkerbell Half Marathon. 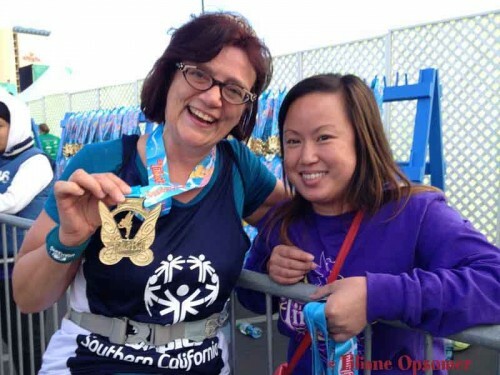 The race was of course sold out and I will be forever grateful to John Watkins and the Special Olympics Southern California Association for inviting me last minute to be part of their team. 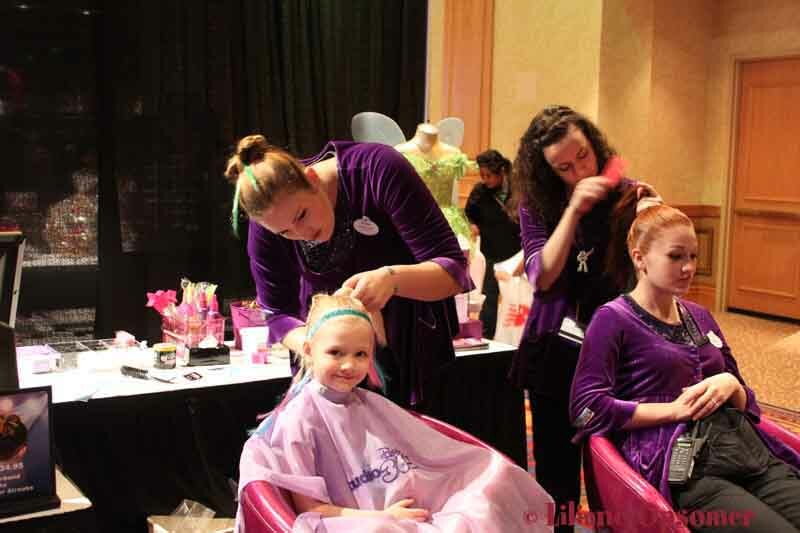 I am proud and humbled to have been part of a team that raises money for such a great cause. Every dollar raised through the Tinker Bell Half Marathon changes the lives of people with intellectual disabilities through sports training and competition. 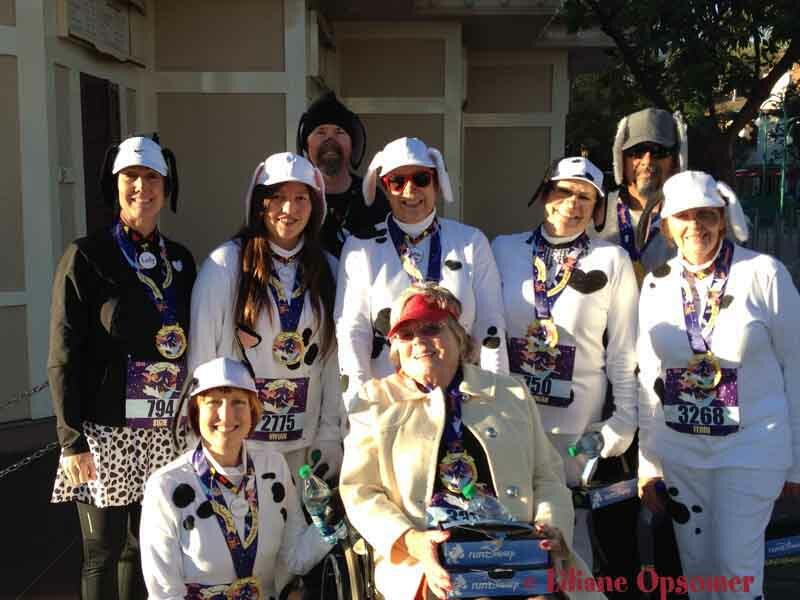 We all love Disney and runDisney but I strongly recommend you look into being part of a team that raises funds for a charity you care about. 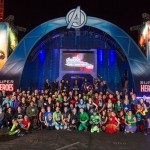 Once in Anaheim I was thrilled to see the many happy faces on all running days. Many multigenerational families participate in the 5K and 10 K races and I love seeing the innovative costumes. And of course there was Expo. 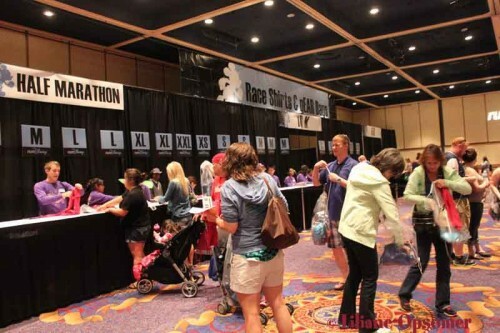 Package pick up at the lower level of the show was a breeze and I really don’t understand why anybody would stand in line on the first day if after a couple of hours it is so easy to just walkup and get your bib. The race shirt and bag was available at the upper level and there too I did not have to wait more than five minutes when I checked in on Saturday morning. Plenty of shirts in all sizes were available and it was easy to exchange sizes if needed. And now to the fun part of Expo: Shopping! Runner’s apparel in all the colors of the rainbow was tempting everywhere. Long and short sleeve T-shirts, performance T-shirts, tanks, fleece hoodies and lots of high-tech gadgets called my name. 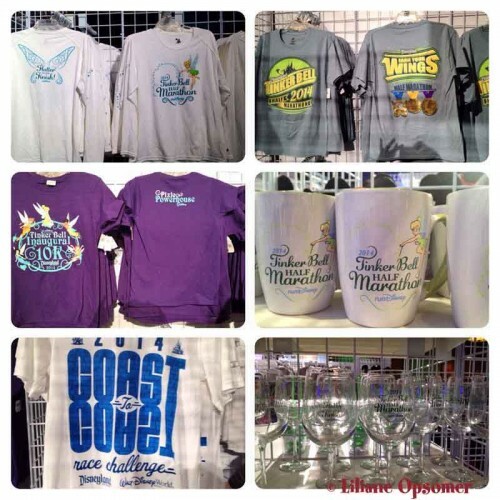 I really liked what I saw and loved the official merchandise. I did splurge on the “I did it” plush Mickey and regret that I did not buy the pink “Coast to Coast” t-shirt. Studio 365 had a booth at expo and I loved the Tinkerbell hairdo but I am glad I did not go for it as some runners reported to me that it was uncomfortable sleeping with and that it pulled real hard giving them a major headache which is certainly no fun while running. 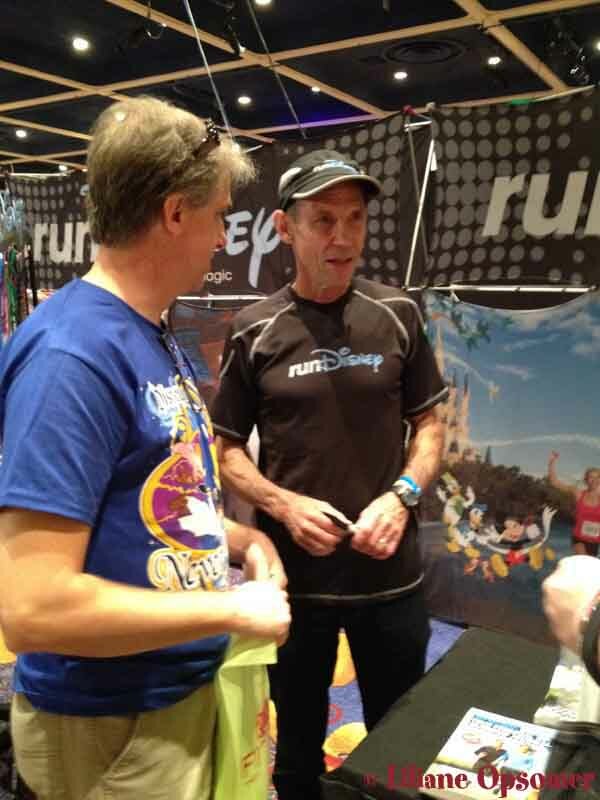 As always there where quite some interesting sessions scheduled throughout the three-day expo and it was good to be able to meet with Jeff Galloway, the official runDisney training consultant for advice on how to best prepare for the half marathon challenge. I did not get a lot of sleep prior to the race but the fact that I had just flown in from the East Coast worked to my advantage. 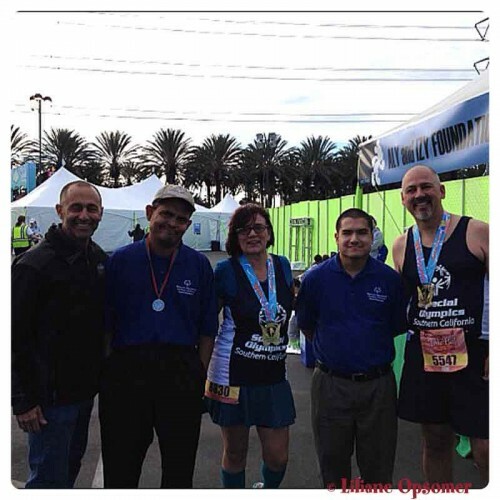 I felt ready to go when I boarded the special shuttle from my good neighborhood hotel to join my team for a pre-race group picture. Soon it was time to line up at corral D. Tinker Bell made an appearance and off we went sprinkled with a good dose of pixie dust. 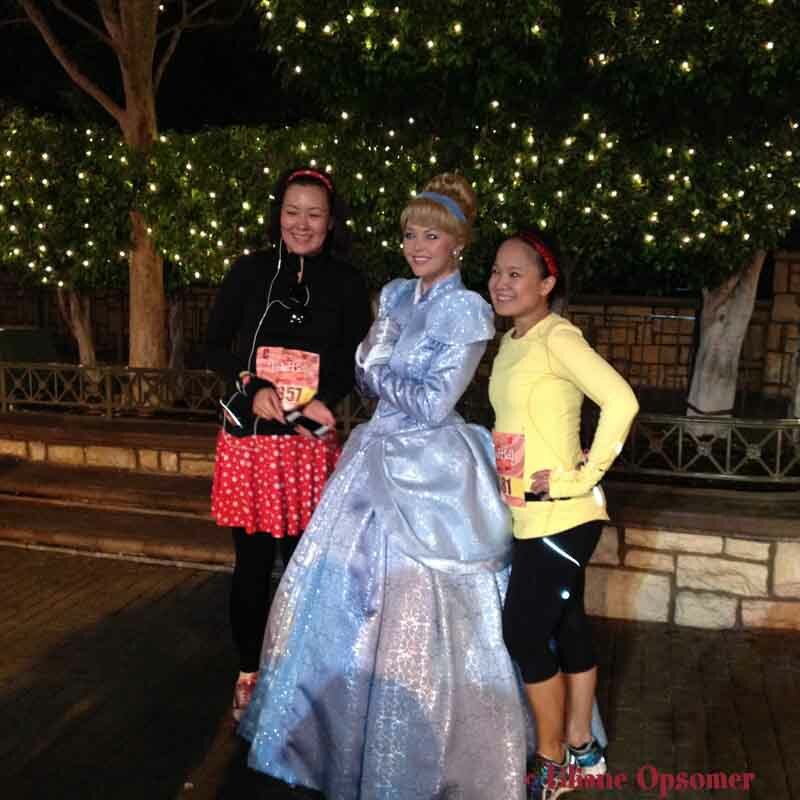 The race gets off to a real early start at 5:00 AM near Paradise Pier Hotel. 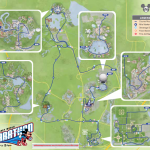 From there, the course heads on a loop around the roads that wind around the edges of the park. 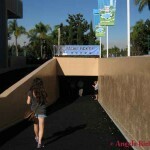 Next we followed Harbor Boulevard south all the way down to the entrance of the park. 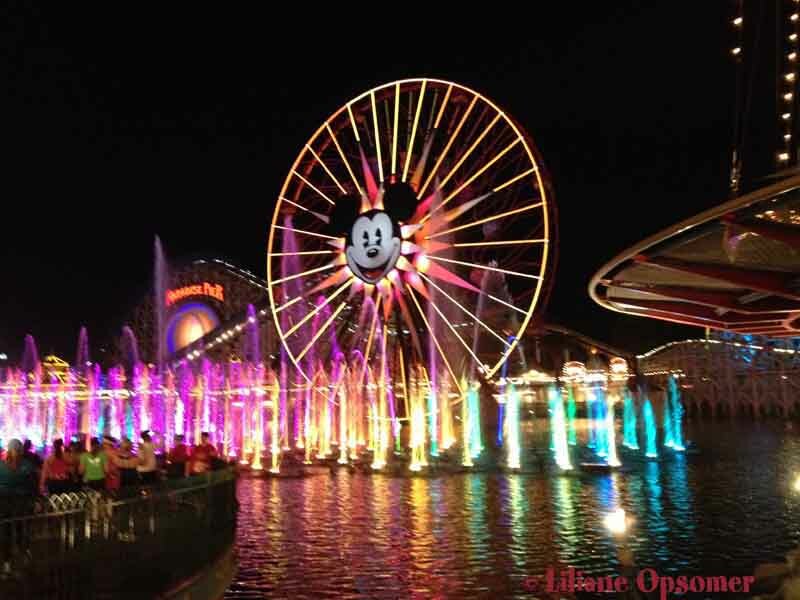 Inside Disneyland we passed all major attractions such as Fantasyland, Matterhorn, Space Mountain and Sleeping Beauty’s Castle. 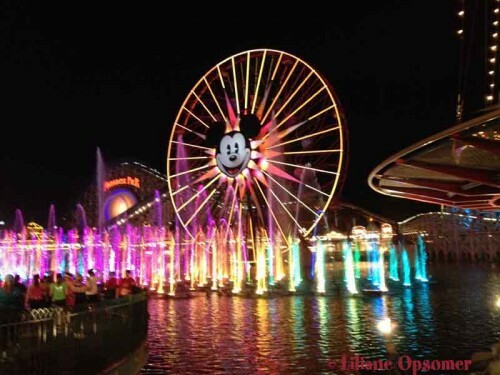 Running down Main Street U.S.A. and entering the castle was simply amazing and at Disney’s California Adventures I was mesmerized to see that the Water Colors show was up and running for us in front of the ferries wheel. The first three miles where a feast for the senses and when the 5K split came through (13:58) I decided it was time to pick up the pace. I sure had been lingering a little too much for picture taking. Characters where everywhere in the parks and it was thrilling to run backstage. 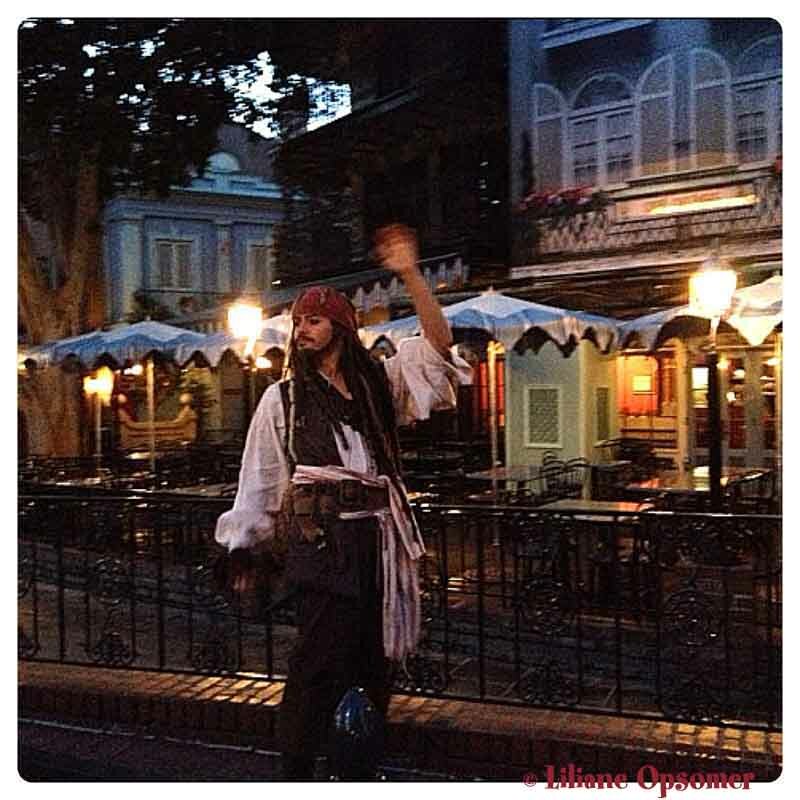 Who can resist Jack Sparrow? 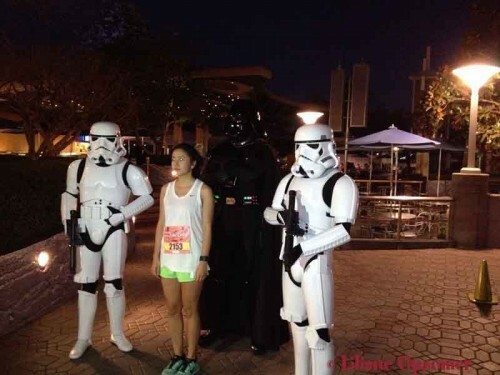 Who does not want their picture taken with Darth Vader? 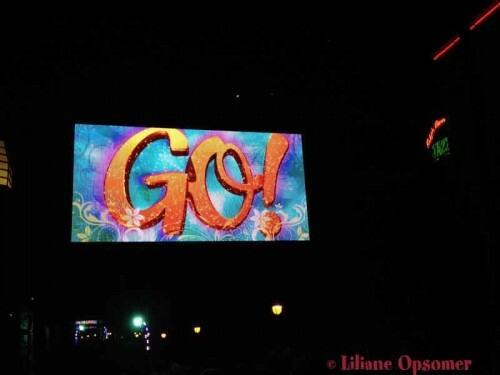 Eventually we excited the park and made our way through Downtown Disney with guests and cast members cheering us on. For the next seven miles we left the Disneyland Resort and run in the streets of Anaheim before eventually making our way back down Harbor Boulevard toward Disneyland. Local music bands and cheerleader groups offered support along the route. 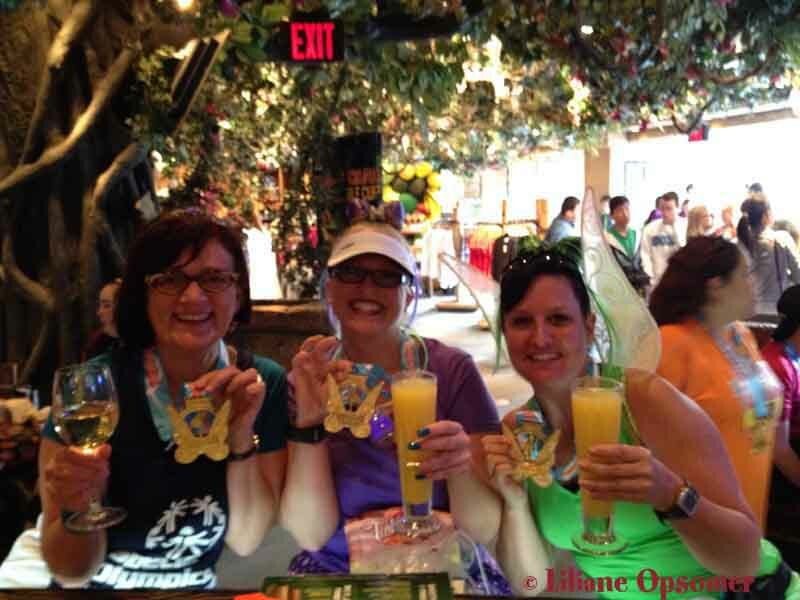 Running the Tinker Bell Half Marathon was incredibly exciting. 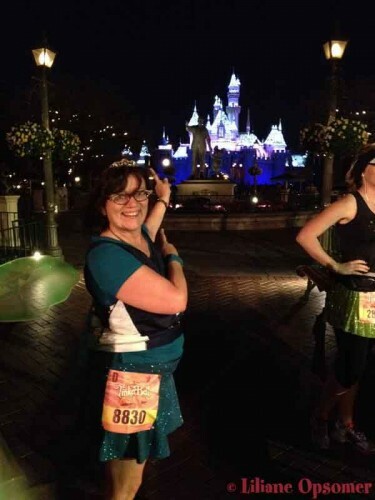 Running through the parks was gorgeous but I truly enjoyed running through the streets of Anaheim. 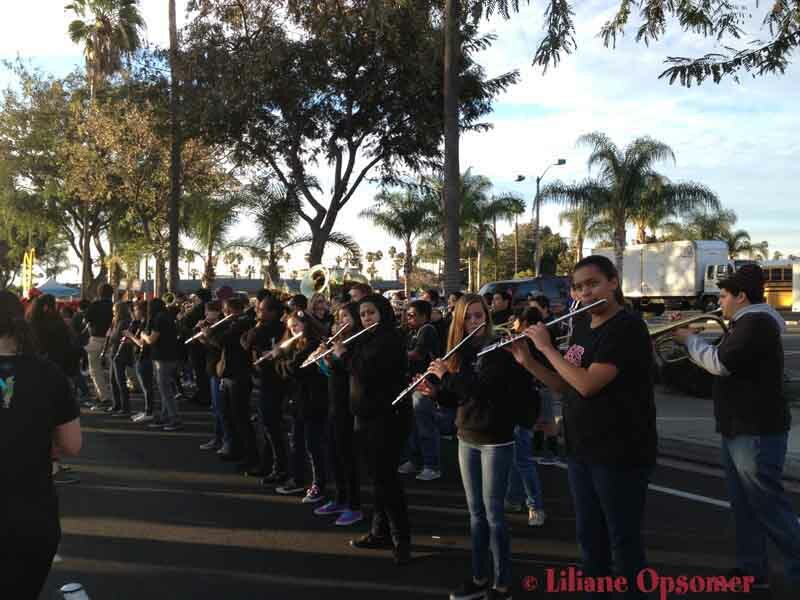 I appreciated the efforts of the school marching bands and the spectators encouraging us with their signs everywhere. 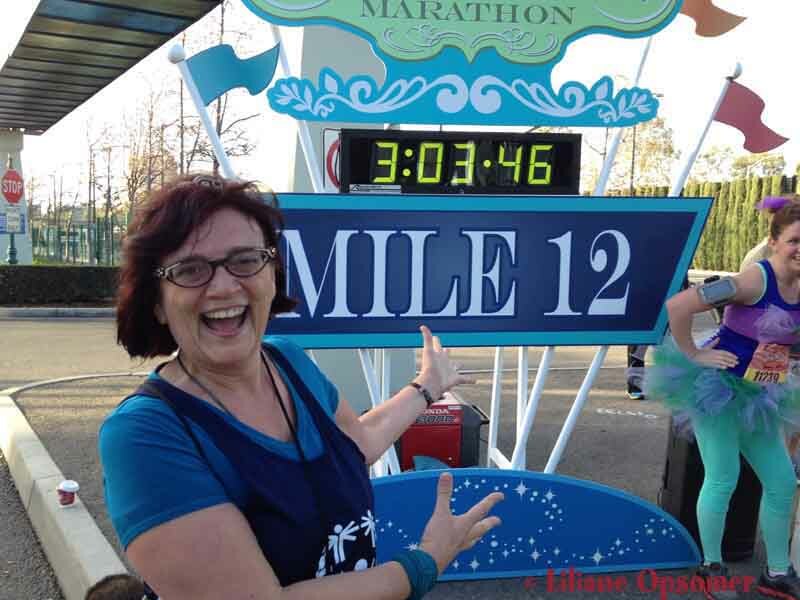 At mile 12 I started laughing, seriously I felt so great that I could not stop laughing. I felt as if the world around me did not matter anymore. 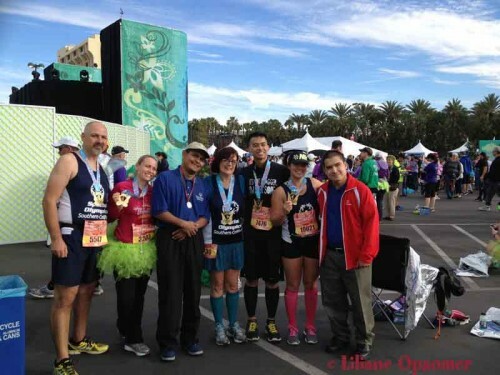 I suddenly realized that I was about to complete my first half marathon and it was a great feeling. I stopped listening to my timer, no more run, walk, run. I just kept on running. Eventually I reached the finish line (2:52:14) and when I got my medal it suddenly dawned on me that I had just achieved the first part of the Coast-to-Coast run. And what a feeling that was! I loved the experience and the race was very well organized. 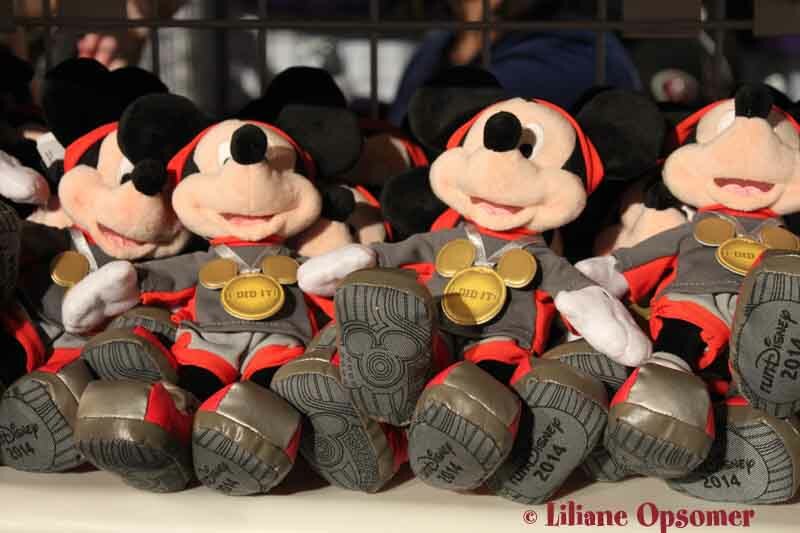 There were plenty of water and first aid stations every few miles and post race we were handed water, PowerAde, a banana and a runDisney snack box. I personally don’t care for the snacks inside the box and would prefer a simple sandwich. Last but certainly not least it was time to meet up with my team and take a post race picture. 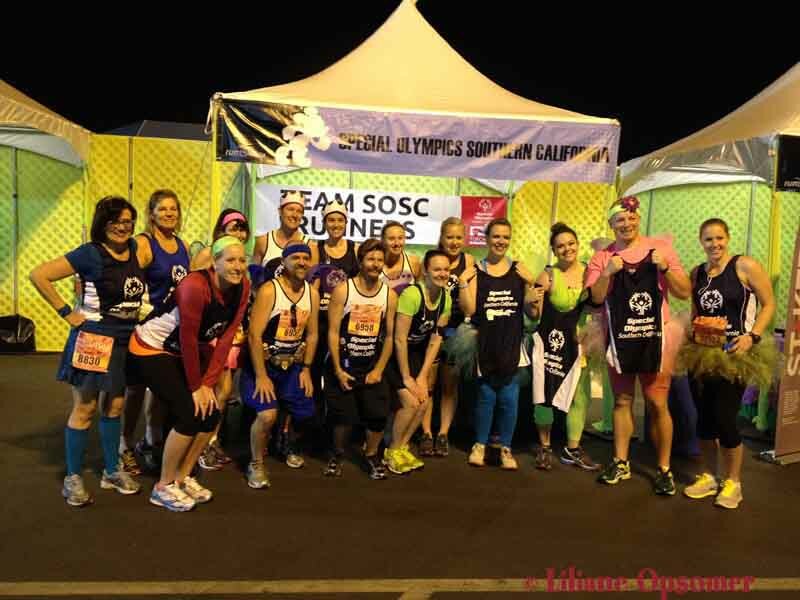 I loved being part of a team and the Special Olympics team will always have a special place in my heart. Over 15,000 runners participated in the half marathon race and I was one of them finishing. My report however would not be complete without acknowledging the winner of the race, Melissa Hernandez from Oxnard, California, who finished the race in 1:25:40. 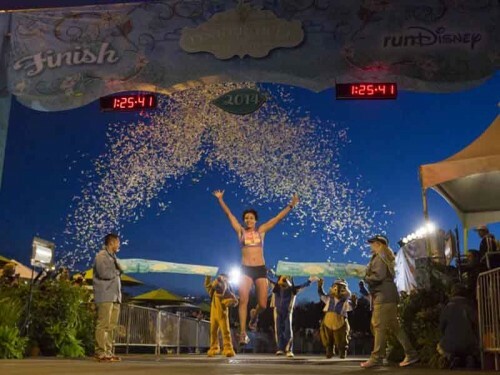 Hernandez’s win capped a weekend of race events that included a new Disneyland 10K and a Never Land Family Fun Run 5K as well as several kids races. As for me I celebrated with a nice breakfast and a drink at the Rainforest Café. The eggs benedict were absolutely fabulous. So what is next? 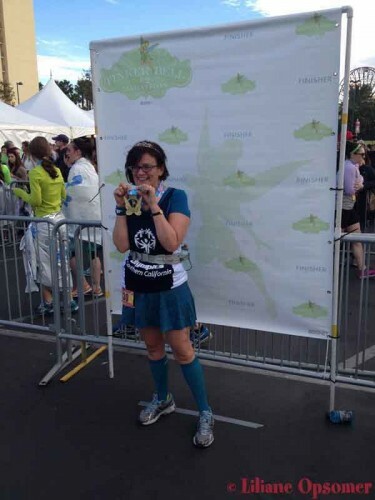 As I am finishing this article I am relaxing from my first non-Disney race, the Brrrooklyn Half Marathon. It sure earns the name. It was freezing and I doubt I’ll do it again. Running at 10F is really not my idea of fun. The cold and the lack of entertainment along the route made me finish the race in 2:48:35 but I’ll trade the gain in time for both the warmth of California or Florida anytime. Most importantly I missed my runDisney friends. 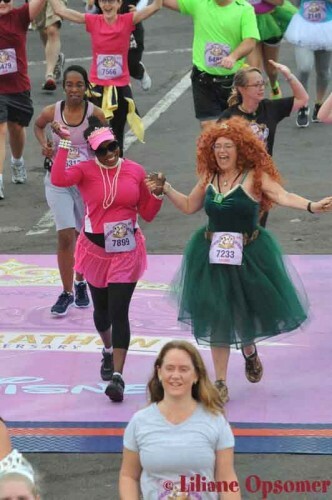 I can’t wait for the Princess Half where every mile will be pure magic! For more information about Special Olympics Southern California click here. 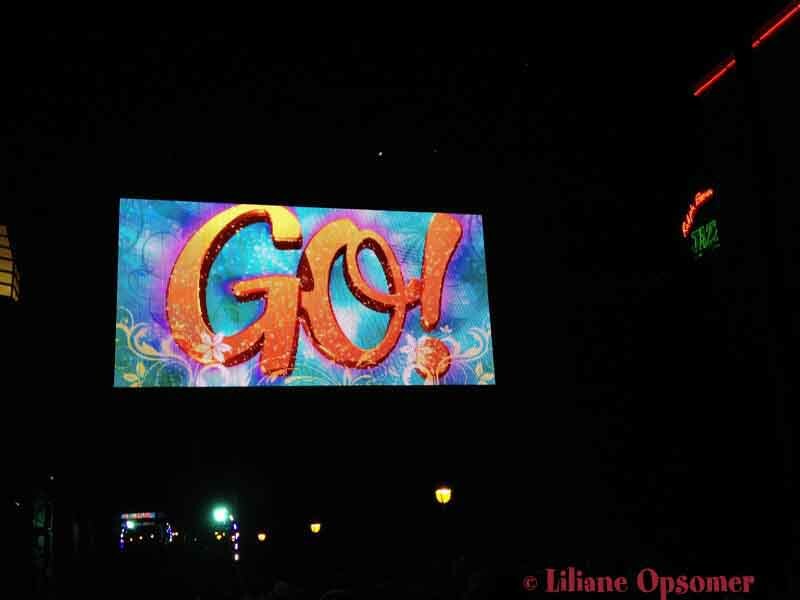 Liliane Opsomer is the co-author of the “Unofficial Guide to Walt Disney World with Kids”, a guidebook that provides detailed planning and touring tips for a family vacation. The book has also a Facebook page with daily tips. 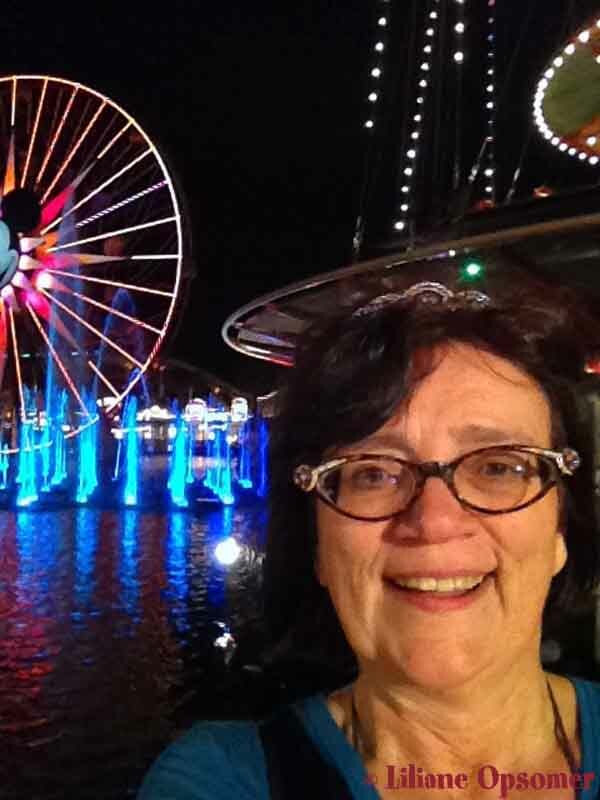 She is passionate about travel, Disney, and hobbits. 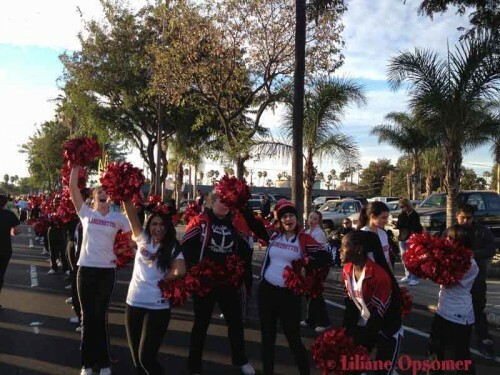 Liliane also started recently her own blog. Congrats on the race!! Tink was definitely a fantastic course :0)and the spectator support was nothing short of incredible! Fun recap and pics! Congrats. 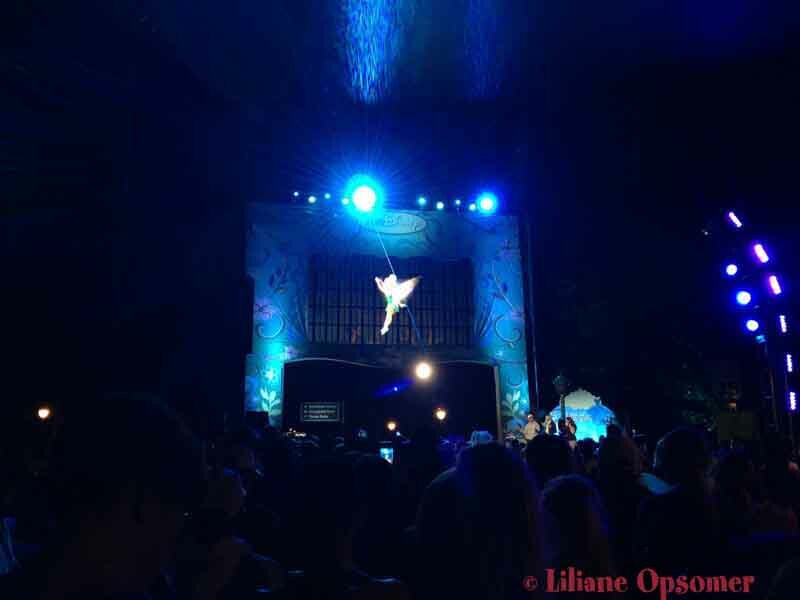 Liliane! You subbed 3 hours on your first half. You are a rockstar! Took me at least three years to do that….and at a Disney race where you stopped for character photos…AMAZING!!! Congratulations on making a difference in the world doing something you love.